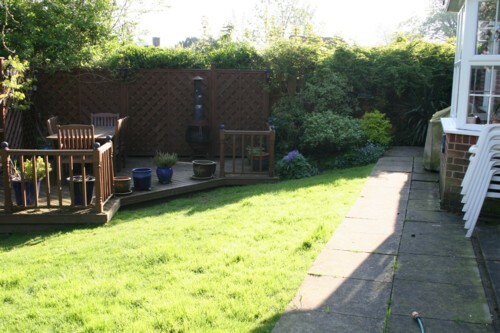 The clients brief was to create a new patio area with a pathway in front of the house. 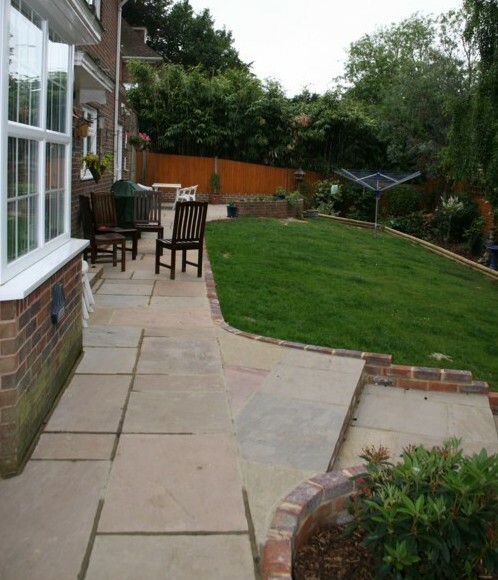 After consultation with us they chose Indian Sandstone paving to be used for the patio and pathway. 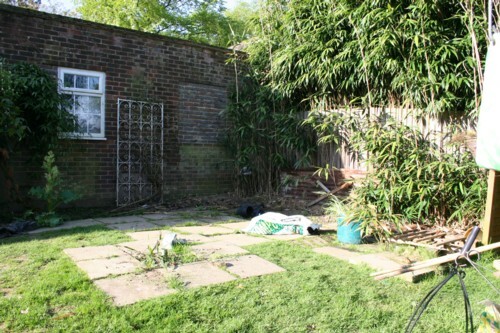 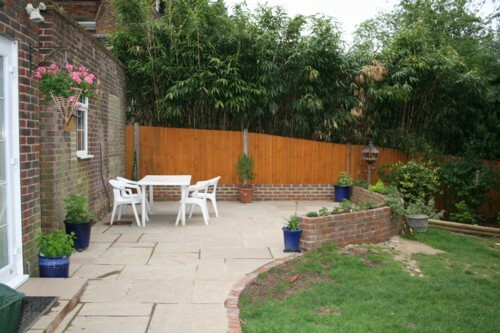 We suggested a retaining brick wall incorporating a planting space around the patio area, a brick edge to the path in front of the house and to construct steps down to an existing decked area to link the different parts of the garden together.